So, we previously showed you what you can visit in Barcelona in 1 day and in 3 days, and now it’s time to show you what you can do in Barcelona in 5 days. When you have 5 full days to spend in Barcelona, you’ll be sure to maximize your time so you do not to miss the most attractive parts of the city. These 5 days should give you enough time to really appreciate this magnificent city. As suggested in our previous articles, you can start your visit from La Sagrada Família (metro L2 – purple line and L5 – blue line), go inside and spend 2 or 3 hours admiring its unique architecture. Tickets always sell out during the popular travel months, so we strongly suggest you pre-purchase the tickets online, so you can skip the queue and have a confirmed reservation. 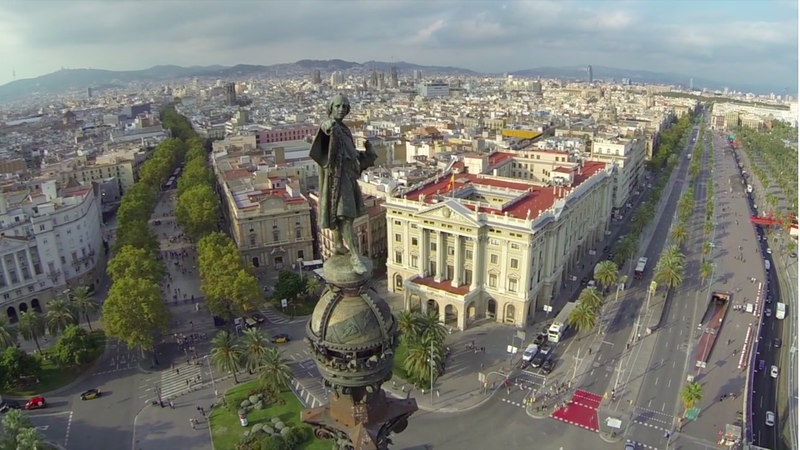 After the visit, walk the streets of the Eixample district to Plaça Catalunya and La Rambla. Walking is a bit long (half an hour), so we suggest a stop at the Boqueria Market where you can eat, have a drink, and browse the local produce. Next to the market you will find El Teatre del Liceu, a very historically important centre for the arts where the best operas take place. At the end of La Rambla, you will see the statue of Cristòfor Colom (you can visit but be sure you book it in advance). Now, cross the street and go towards the Port, where you will enjoy the view, walking around the marina taking photos of the mega yachts, and looking for that perfect something in the mall (Maremagnum) which is just across the bridge. If you like sea creatures and marine life, you can visit the Barcelona Aquarium, which is right next to the mall. As the day ends, take in the sunset from the Port, it’s stunning. Day 2, Start the visit from the Barceloneta area, which means L4 – Yellow line, and stop at Ciutadella – Vila Olímpica. Spend around 1 hour walking around Ciutadella Park and rent a boat on the lake, it’s nice and quiet, just perfect for a short siesta or a picnic. 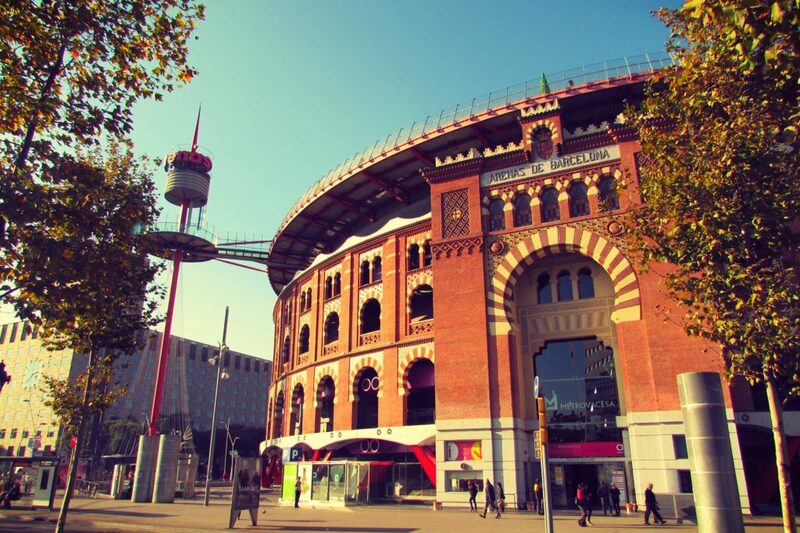 Outside the park, you will see the Arc de Triomf, built in 1888 for the Universal Expo. Heading west, you will be walking through the medieval Born district, well known for its magnificent Santa Maria del Mar, a Cathedral built in 1383. In the Born, you will also find the Picasso Museum. In this area we recommend a restaurant called ‘El 300 del Born.’ Otherwise, the Mercat de la Princesa offers a wide variety of food with a modern ambience and live music. Heading still further west, walk through the Gothic Quarter and visit its famous Cathedral. If you would like to tour the interior, proper attire is required (make sure your legs and shoulders are covered), otherwise you won’t be allowed inside the place of worship. In this area there are many other churches and historical places like the old Jewish district, Plaça del Rei, and Palau de la Música Catalana. Take the whole day and part of the night to visit these two districts. They are well worth it. Now that you have experienced La Sagrada Família, it’s time to discover Gaudí’s other creations. Gaudí is one of the most famous architects in the world. Taking a day to visit his masterpieces is a must, so start your day by taking the metro L3 – Green Line to Plaça Lesseps and follow the signs to the Park Güell. Entry is 7€. We recommend booking the tickets in advance on their website (http://www.parkguell.cat/en/buy-tickets/). This Park is listed as a UNESCO World Heritage Site. After spending 3-4 hours touring the Park, head to Passeig de Gràcia either on foot or by metro. 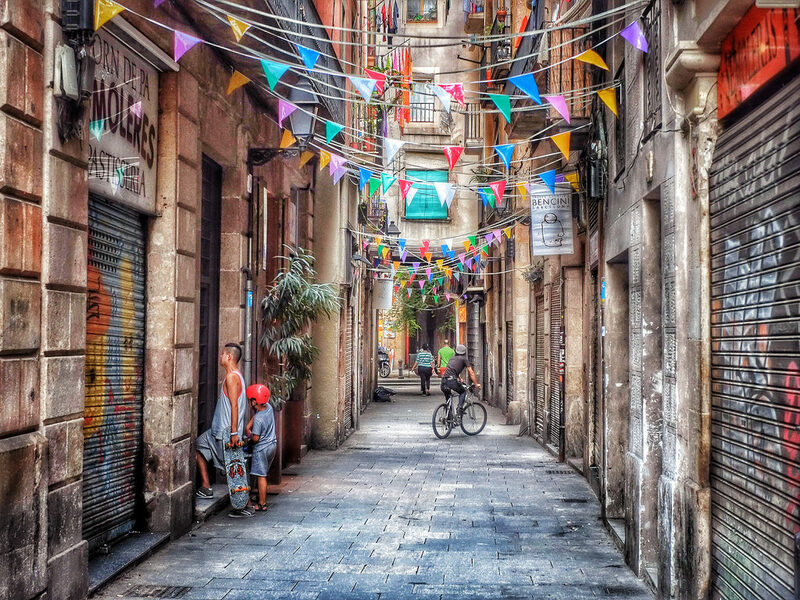 If you decide to walk, you will see Barcelona’s hipster District: Gràcia. If you want to see Gaudí’s first house, it will be opened to the public at the end of this year. It’s located in Gràcia, on Carrer Carolines 18-24. Once you reach Passeig de Gràcia, enjoy lots of shopping and boutique stores on both sides of the Avenue. Be sure to see the stunning Gaudí buildings Casa Batlló , and Casa Milà, also known as La Pedrera, another UNESCO World Heritage Site. Both sites offer different kinds of tickets and tours. 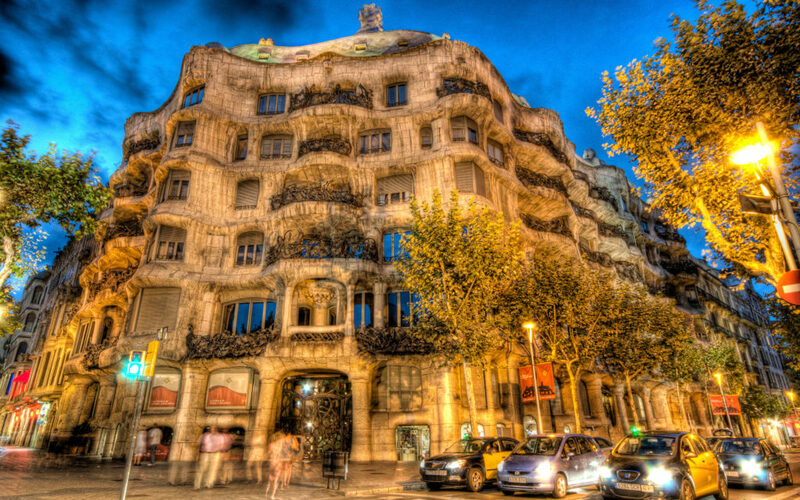 As you are staying 5 days in Barcelona, we recommend you also visit La Pedrera at night! Can you imagine visiting a Castle on the top of a mountain while looking at stunning views of the sea and of Barcelona? Well, we’ll tell you how to get there! Start your day at the bottom of the mountain and begin the walk up while admiring the city views. The cable car service begins on Avinguda Miramar and leaves visitors in front of the Castle. It has three stops, the first in Avinguda Miramar, one in the middle of Plaça de la Sardana, and one in front of the Castle. The Montjuïc Castle was formerly a military fortress circa 1640. After the Spanish Civil War, it became a military museum and today it hosts different exhibitions and events. Next, go down the hill and stop at the MACBA museum if you are interested in Catalan Contemporary Art, or simply admire the National Palace building. From there, you will see the Magic Fountains of Montjuïc. Most evenings from Thursday to Sunday there is a great show that combines colour, lights, water and music, and the best part- it’s free. You can also enjoy the views from the mall in Plaça Espanya, Las Arenas. This place used to be a bullfighting ring, but today it is a great place to go shopping, or enjoy one of the many wonderful restaurants on the rooftop. We suggest you go to the rooftop terrace so you will have amazing views of this part of the city. Day 5 will be dedicated to amusement and relaxation. Tibidabo Park is located at the top of the mountain with the same name. You can take a direct bus from Plaça Catalunya, drive, or take the Funicular. From the top, at an altitude of 516 meters, you can visit the Temple Expiatori del Sagrat Cor. Take in the impressive views of Barcelona, eat at one of the great restaurants close by, and go to the amusement park which was founded in 1899. 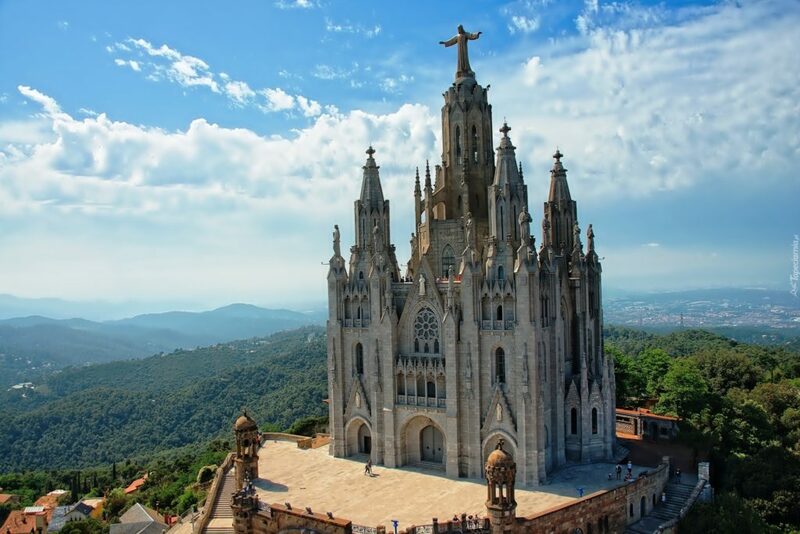 After having walked around Tibidabo, explored Modernism, Gothic and Roman architecture, having climbed mountains and walked for hours, you might just like to relax and we certainly don’t want you to miss the beach! 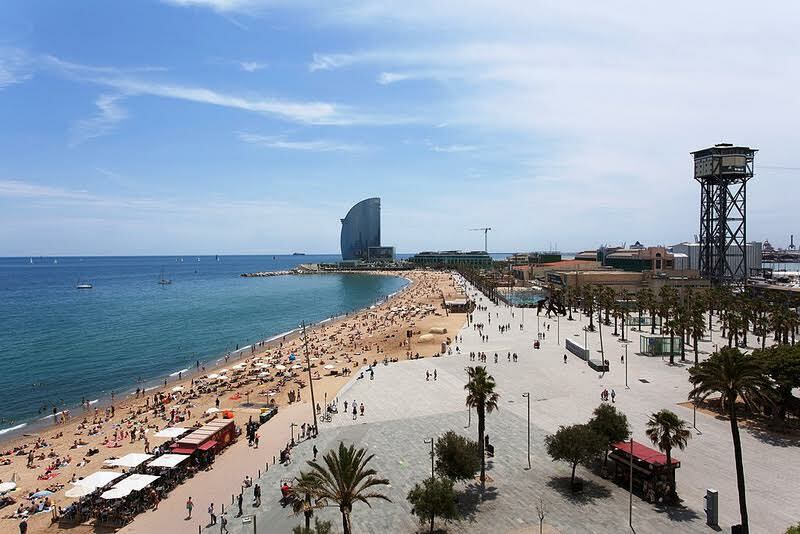 Get off at Barceloneta (L4 – Yellow line) and this time head east, as you walk to the beach. Enjoy the Passeig Marítim, by walking the pier, or renting a bicycle and stop in one of the bars to have a nice coffee or a cold drink. You will pass by different beaches and no matter which season of the year you decide to explore the city, the beach is a must. Delight in the sunset, and enjoy the ocean breeze. On the other side of the road, you will find the Poblenou district which previously served as the industrial suburbs of the city, but today all the factories have moved, and many of the old factories have been remodelled and converted into stunning modern lofts. Night life, restaurants, dance clubs, and art studios can all be found in this district. It´s an exciting and very interesting place to be. We hope your experience in Barcelona for 5 days will be unique and unforgettable!